If you click on this link you will watch the most frequently repeated TV program of all time. 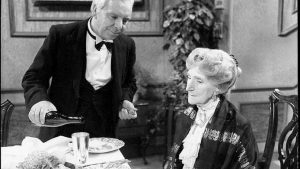 It is a 1963 English comedy sketch called Dinner for One, starring Freddie Frinton and May Warden. The film shows an old lady, Miss Sophie and her Butler, James, at a dinner table where they pretend her deceased lovers are sitting. They are both conveniently ignoring the fact that the ‘guests’ have all been dead for a quarter of a century. James is playacting each one of them while serving different courses and drinking toasts on behalf of them. Each course starts with the same dialogue: The Butler asks, “The same procedure as last year, Miss Sophie?” The woman replies, “The same procedure as every year, James!” As the dinner progresses, James becomes increasingly inebriated while clumsily performing his duties. The sketch ends with James’ final procedure: bedding the old lady. To the uninitiated, Dinner for One is, at best mildly funny, but for millions of Germans, the sketch is compulsory watching on New Year’s Eve. Just before midnight, even German airlines show it to their passengers on transatlantic flights – all because of popular demand.It was first screened in 1963 and since that time the cult following is ever increasing with Scandinavian countries now jumping on the German bandwagon. The peculiar thing is that nobody has an adequate explanation for the popularity of this so very British piece of slapstick comedy. Explanations are manifold and range from the magic of repetition to a mick-take of the English upper class. I find none of these explanations particularly convincing so here is an alternative view. It is no coincidence that this clip is so popular on New Year’s Eve. After all, this is the time of the year we turn our mind to the future and let go of the past. Yet we all find this difficult. Neuroscience and cognitive psychology tell us that we all have an inbuilt reluctance to change. There are a whole range of biases which make us want to maintain the status quo and avoid loss. It takes a conscious effort to turn towards the future and often it involves acknowledging loss. And that is exactly the opposite of what is portrayed in Dinner for One. Dinner for One is a salutary reminder of what can happen to us when we hold onto past ways too tightly. The result is an absurd farce, the very extreme consequence of denial. It’s a life lived in a place where everything is fossilised and devoid of new life. In our own research into unconscious bias in decision making, we find these tendencies to hold onto things in the work of The Knight. The sketch also highlights the issue of collusion when there are power discrepancies in a relationship. James, the Butler enables the old lady’s denial and, together, they slide deeper and deeper into this world of make-believe. We all need people in our life who tell us the truth and call out when our perception of reality gets clouded by bias in decision making. Butler behaviour reinforces our biases and in the business world can lead to terrible catastrophes. In our book Risky Business, we document a whole range of disasters in many different areas of organisational life. They happened just because the top people surrounded themselves with ‘Butlers’ who did not question their business practices. Tell people you want feedback and ask for it frequently. Honour those who have the courage to challenge you publicly. To learn more about our Hidden R-I-S-K Framework and the many characters embodying unconscious biases at work, download our infographic completely free! 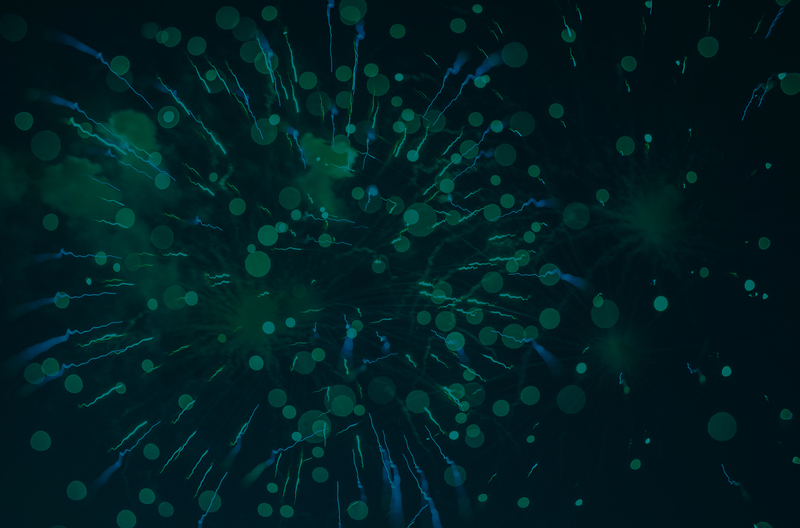 Newer Post What is the most important skill for the future? Older Post Do you value your snowflakes?